When Samsung launched the Samsung Galaxy Note a few years ago the company brought back the stylus of days past. The name given to the new tool was ‘S Pen’ and it promised to make you more productive. 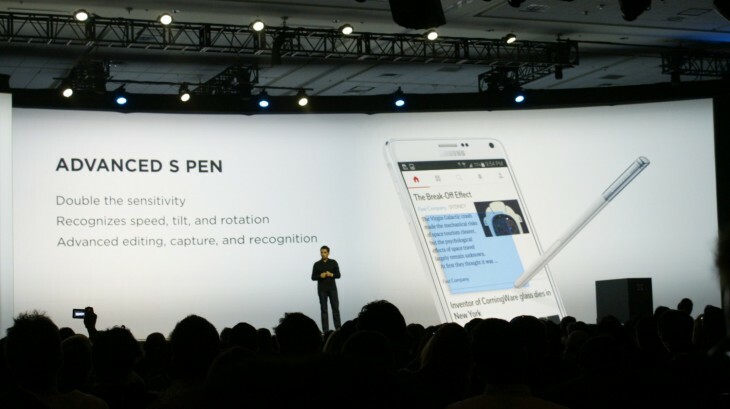 Today, after successfully launching four variations of the Note, Samsung unveiled an Advanced S Pen at its Developer Conference in San Francisco. Though the Note 4, just released last month, had an S Pen that was identical to that of the Note 3, this new version brings a number of new capabilities. Samsung says the new Advanced S Pen “goes beyond touch” and brings double the sensitivity of the current generation S Pen. It also recognizes speed, tilt and rotation, and features advanced editing and capture. The new Advanced S Pen will work with the Galaxy Note 4 and Galaxy Edge.